On June 13, 2016, Austin Reams was interviewed by the Oklahoman about his forthcoming novel, The Superunknowns. 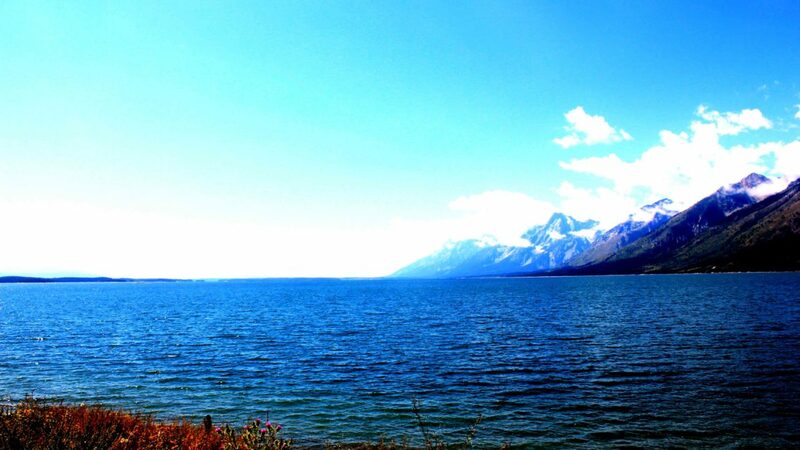 Photo by Austin Reams 2015: Lizard Creek, Wyoming. Copyright (c) 2015 Austin Reams. 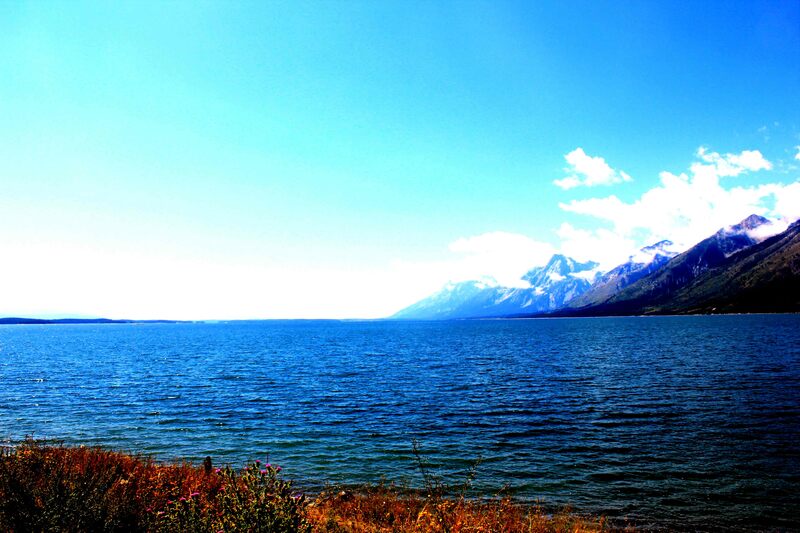 View from Lizard Creek, Tabitha’s home in The Superunknowns by Austin Reams. 1. Talk about how modern technology influenced the story of The Superunknowns. As a parent to twin 7-year-old girls, I am concerned about the risks that devices like smart phones, tablets, and PCs pose to young minds. Writers such as Nicholas Car, in The Shallows: What the Internet is Doing to Our Brains (Norton 2011), and others, have reported on many of the adverse effects of “internet” overuse, including hindering deep and creative thought, and impeding reading comprehension and retention. Research shows that users are tuned into efficient consumers, with decreased ability for critical thinking or independent decision making. By design, the internet inhibits one’s attention, encouraging distraction and interfering with memories. “The Superunknowns” imagines a world at the mercy of technology nearly 75 years from now. The virtual world is experienced constantly through contact lenses. Users are presented with an “improved” reality, starkly different from the world as it actually exists. (According to recent reports, several companies are developing this technology which may actually be available in the next 20 years.) Most people come to accept the virtual world as the one and only reality. They refuse to acknowledge the arrival of massive UFOs because the objects cannot be perceived with virtual contact lenses, known as “CBs,” short for Cerebral Bands. Due to the CBs’ manipulation of memories, millions of users forget about family members and friends who are taken to debtor’s labor camps. Twins Irene and Edith develop supernatural abilities when the UFOs appear. They are taken to one of the many deep underground military bases for questioning. While undergoing a polygraph, Edith learns she has the power to know the answer to any fact-based question asked. As the questions come, some answers are not what she expects. Her father who she thought was dead is actually being kept prisoner in a debtor’s labor camp. With the help of CBs, prisoners likewise experience a false reality, believing they are still living their usual lives back home. A shocking truth comes into focus – everyone is a prisoner of the CB-world, whether behind bars or not. Edith and her sister, Irene, use their abilities to fight to escape and free their father and millions of others. Of course, the central purpose of “The Superunknowns” is to entertain with a thrilling science fiction epic. I also hope inspire readers stop and think about the risks of technologies encroaching into our mental and intellectual well-being, as well as the dangers to our fundamental rights to freedom and privacy. As we have recently seen from disclosures by Edward Snowden, the US government has abused its technological powers by secretly collecting information on Americans. We face much greater threats when corporations and governments may soon be able to dictate what we accept as reality. 2. Tell me about your background in Oklahoma, and how Oklahoma plays a part in the novel. My great grandfather ran in the Oklahoma land run. He worked the land as wheat farms, passed them on to his son, and my grandfather passed them on to his family, including me. I was born in Bartlesville, attended primary schools Oklahoma City and Edmond, and lived in Ada and Durant though high-school years, when I was home schooled. After earning a degree in Russian Language and Literature from Oklahoma State University (1992), I pursued graduate studies in Moscow, Russia, and then taught Russian language at John Marshall High School. I subsequently completed an MA in International Relations from Boston University (1995), and worked as a political analyst and program administrator on nuclear non-proliferation programs at Los Alamos National Laboratory. While studying at Oklahoma City School of Law, where I met my wife, Ling (who is from Taiwan), during the summers I worked as a consultant to the International Atomic Energy Agency in Vienna, Austria. After completing law school, my wife and I passed the California Bar exam and lived in the San Francisco Bay Area until returning to Oklahoma in 2005 to practice law. I worked at downtown law firms from 2005 through 2012, and currently own my own firm, Reams Law, http://www.reamslawfirm.com/c-austin-reams/ . We’ve lived here since then, during which time both of my novels, “The Morning Tree” and “The Superunknowns” were published. Our twin daughters, Sophia and Lara, were born in Oklahoma City in 2009. Oklahoma City plays a central role in the novel. Two of the lead characters, twins Irene and Edith, seventeen years old, both live in northern Oklahoma City when their father disappears (believed to be deceased) and a massive UFO appears over the city. The UFO begins to follow Irene, leading the government to kidnap her to a deep underground military base. Several key scenes occur in Oklahoma City. For example, Edith and Irene must travel by foot on Memorial Road with other refugees for food and water. After escaping from a labor camp in Kansas, their father tries to rescue his daughters, making his way through Enid back to Oklahoma City. Other key scenes in the story occur in the metro, including the climax fight scene when downtown is destroyed during the chaos. Also, I study kendo at the Sen Shin Kan dojo in Oklahoma City; the father in the novel also studies kendo with his daughters, Irene and Edith, at the family dojo. I’ve lived in San Francisco and worked at Los Alamos, other towns with roles in the novel. But it was a joy to write a novel with Oklahoma City, my home town, a growing and thriving metro, as the key location. 3. Who do you anticipate will enjoy the novel? Do you have an ideal reader in mind? While this novel could be included in the “young adult” category, it was not written solely with adolescent issues in mind. I do hope it empowers girls’ imagination and confidence; the two central characters – Irene and Edith – are seventeen with supernatural powers including abilities to fly, move objects by telekinesis, and the ability to know the answer to almost any question asked. There is also inspiration to young adults with physical disabilities. Irene herself is struggling to recover from an illness of partial paralysis, Guillain-Barre syndrome, which I struggled with myself when I was 15. And Tabitha, a 12-year-old from Yellowstone with a missing arm, has the ability, by mere thought, to reshape any device to suit her own needs. At its core, “The Superunknowns” is driven by heroes with challenges most can identify with: fighting evil against impossible odds to rescue those held most dear, while finding reconciliation between parents and children in the process. 4. What can people expect at your event on June 17, the pre-publication event for The Superunknowns at the Myriad Gardens Events Center? The event begins at 6:00 pm at the Myriad Gardens Event Center (also known as the Park House) with a beautiful view of the Crystal Bridge and the surrounding garden area. I will read a chapter of “The Superunknowns” at 6:20 pm. 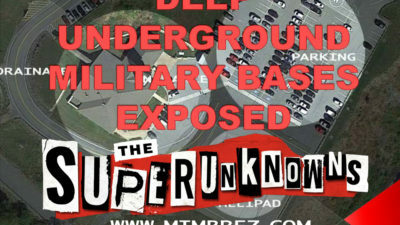 Guests may purchase pre-publication copies of “The Superunknowns” and have books signed by the author at the event. (The official publication date is June 24th.) There will be drawings for full-sized posters of the two main characters (see attached), and free wine and snacks will be served. 5. What inspires people in the novel is part of what gives them their powers. Can you talk about how that works in the novel, and also, about what inspires you personally, both as a young person and today? Dozens of massive UFOs arrive from sundogs (an atmospheric phenomenon of phantom suns) around the sun, and each UFO is initially drawn to a young person who is strongly imaginative. The subjects of the UFOs apparent interest begin to develop the powers and abilities of their deepest wishes. However, the abilities that arise are both good and evil. Inspired by heroes from Inframan, The Seven Samurai, Star Wars, Wonder Woman, and the Matrix, and being a kendo master, Irene gains the ability to fly and destroy things at a distance with a flick of her fist or strike of her sword, sometimes with unintended consequences. Other characters with dark fantasies, such as Jeremy in San Francisco, can fly and turn into a large destroying bird of prey, while having the ability to turn anyone in his line of sight into a monster and control their actions by mere thought. Nicholas from a pueblo near Los Alamos has the ability to surf through the air as he plays blues guitar, and Tabitha from Yellowstone has her own astonishing talents. Edith has mental insights, as mentioned, and the power of shield. The reader is inspired to wonder what powers they would have if their deepest desires unexpectedly came to fruition. What inspires me? As a young person, at the age of six, I loved Inframan (aka The Super Inframan), a superhero, Chinese martial arts movie produced by the Shaw Brothers out of Hong Kong in 1975. But then Star Wars came, which scrambled my brain. I saw that movie upon its initial release in 1977 at the theater in the North Park Mall in Oklahoma City and walked out of that place a changed person. Since then, I’ve loved and craved epic science fiction and fantasy stories that not only involve a lot of action with strong heroes but use classic archetypes that play to the most basic human dreams and fears, such as those discussed in “The Hero With a Thousand Faces” by Joseph Campbell. My last novel, “The Morning Tree,” followed many of the same archetypes discussed by Campbell. I have also studied martial arts for many years, including Tae Kwan Do, Muay Thai (Thai style boxing), and Kali. More recently, I’ve been studying kendo at the Sen Shin Kan dojo in Oklahoma City. 6. What are the “Superunknowns”? “Superunknowns” refers to both these new super-characters, including Irene and Edith, and to unknown unknowns. Former US Secretary of State Donald Rumsfeld is quoted at the beginning of the novel: “[T]here are also unknown unknowns – the ones we don’t know we don’t know. And if one looks throughout the history of our country and other free countries, it is the latter category that tend to be the difficult ones.” Edith knows the answer to any fact-based question asked, but there are some questions she asks to which no answer is given. What are the UFOs? Why does she have supernatural abilities? Who are the other supers? Who am I? As for us, as a society blindly embracing untested technologies at a breakneck pace, should we ask whether we know where we’re headed?